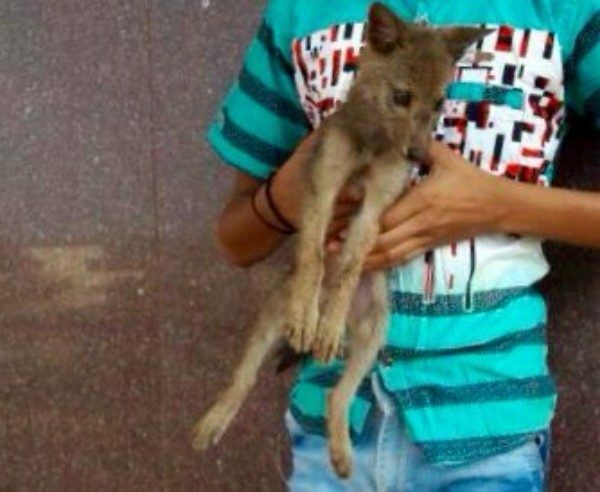 Range Forrest officer Manohar Kadolkar was bale to rescue a cub of a Fox near savagaon village. The Cub looks very healthy and is very active and is now been shifted to Rani Chennamma Mini zoo at Bhutramatti. Foxes are members of the dog family. When fox pups are born, they are unable to see, hear or walk, and their mother must take good care of them. When the pups are young, their father hunts and brings food back for the family. Foxes eat just about anything, including berries, worms, spiders and small animals such as mice and birds. If they live in the city, they eat rubbish that people leave out. If they have extra food, they hide it in a small hole and eat it later when they are hungry.